Hollywood Nutcrackers is a whimsical collection of nutcrackers created exclusively for Kurt S. Adler, Inc. and features an assortment of designs that put a unique, vibrant, memorable twist on traditional nutcrackers. 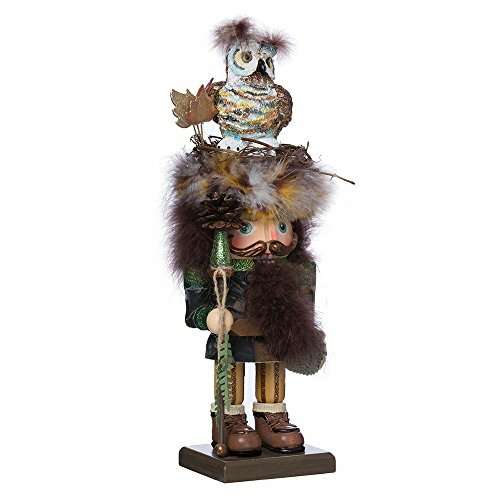 This rugged woodsman is dressed in earth tones accented with glitter, and the design of his fun features a friendly owl sitting in a nest trimmed in feathers. Perfect for lending a warm, woodsy feel to your home and holiday decor!